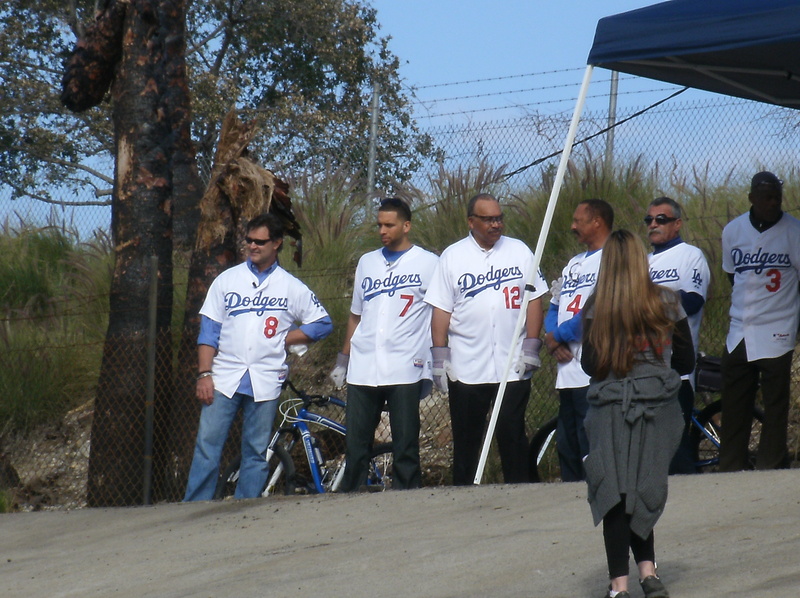 Today was the first day of the two day Dodger caravan. 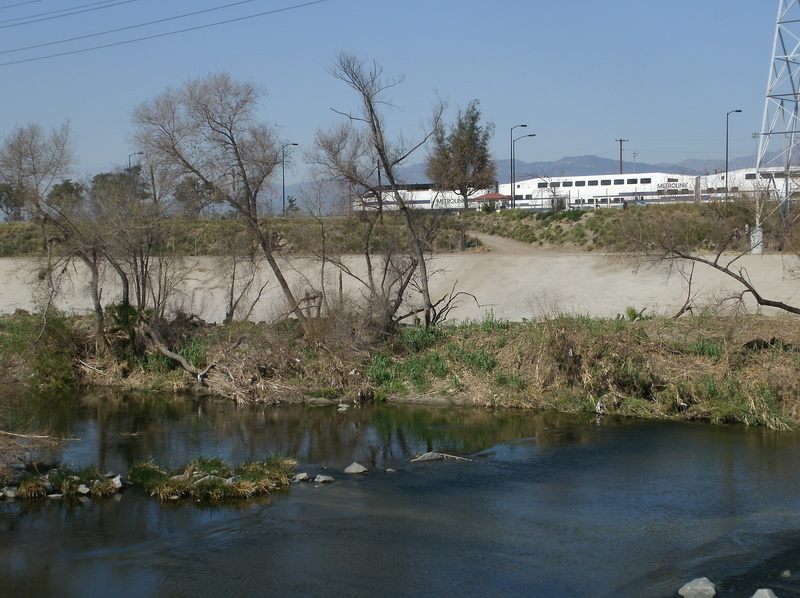 When I read that the first event was going to be cleaning up the LA River, my first thought was … I wonder if it’s anywhere near the section of the LA River were I live. 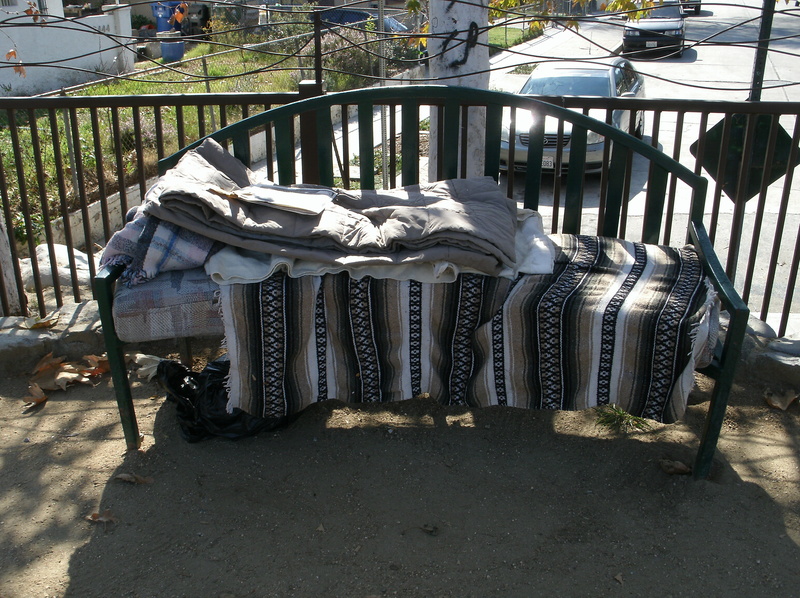 I know there were a lot of people who were not happy with how this year’s caravan was set up. But I enjoyed it. I had a good time. Once the players arrived and were announced, we started cleaning. 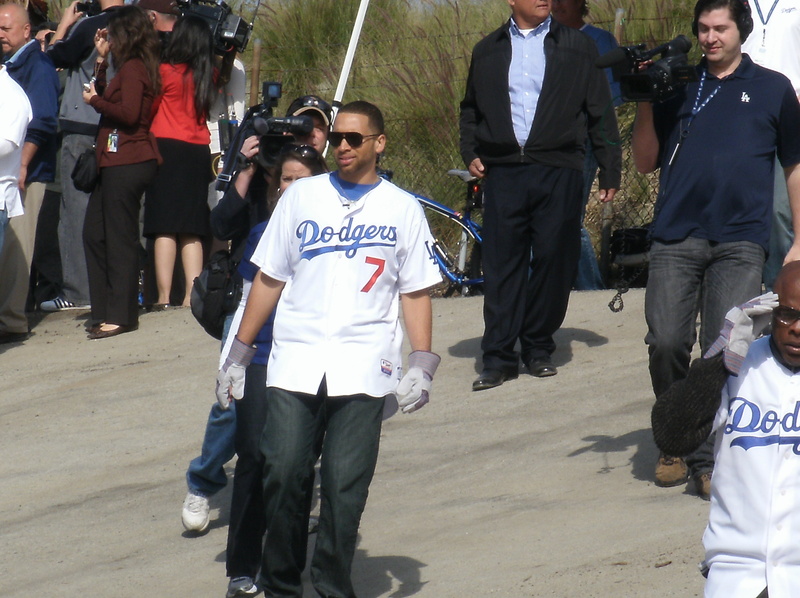 The only current players were James Loney and Andre Ethier (Ethier arrived separately as he was just arriving from the airport). The former players included Tommy Davis, Rudy Law, Kenny Landreaux, Bobby Castillo, Jimmy Campanis. This event included two managers… current manager Don Mattingly and former manager Tommy Lasorda. At first, they had us go into our groups. The players were divided up among the groups. After about ten or fifteen minutes, it became more of an amoeba than several different groups working. Cameras were rolling and snapping every where. It was kinda interesting to be picking up trash and then realizing there was a video camera on me. I liked it. The players were able to mingle and talk with fans as we all pitched in to pick up trash. As bags were filling up, fans started taking pictures with players and asking them for their autographs. It was very casual. I waited till towards the end. By then, I already filled up one bag and started a second. I found a binder (full of mud), a door mat, and a golf ball. Patrick O’Neal was there and he found two golf balls. 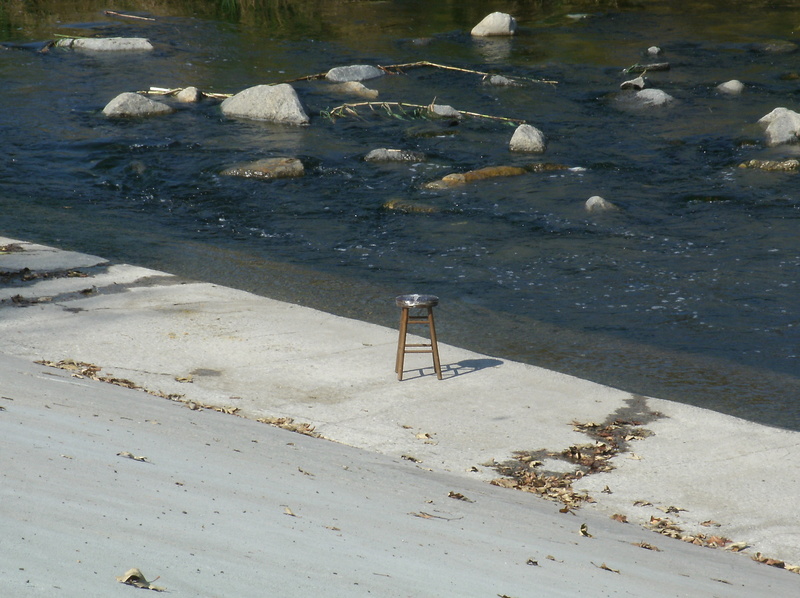 At least no one found a stool! 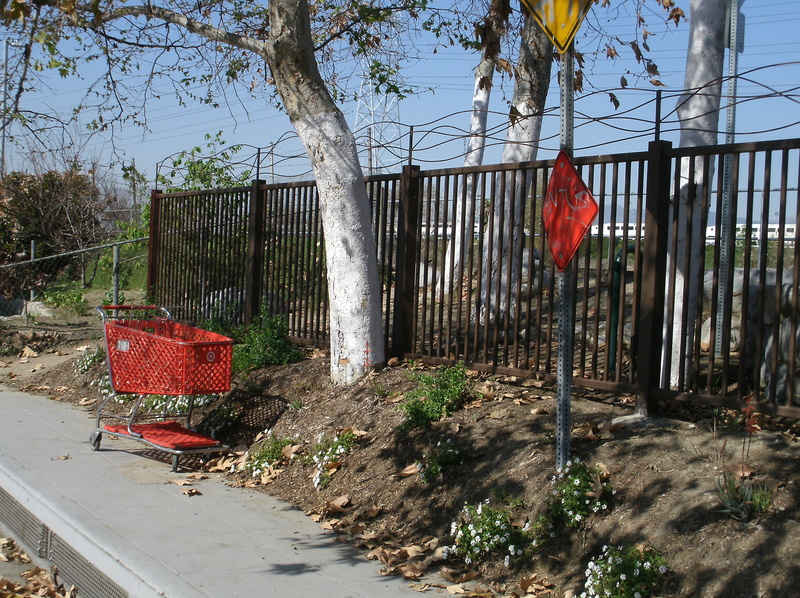 Though there were a few rusted shopping carts stuck here and there. I managed to get two of the three autographs I needed in my scrapbook. 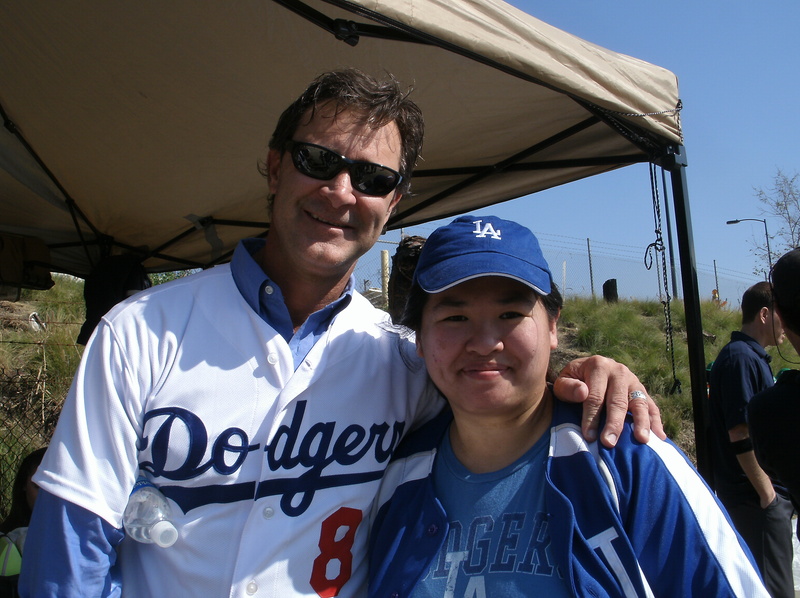 I got Loney and Mattingly, and a picture with the new Dodger skipper. He is a sweet, sweet man! Again, overall, I really enjoyed this experience. Though I may have had an ulterior motive … maybe not ulterior. But at least I get a sense of satisfaction in helping out my community since I do live in the nearby vicinity… granted on the other side of the tracks. I definitely enjoyed this one better than I have in recent past. Though Canter’s is probably still my favorite. Now that I’ve been up for about 28 hours… it’s time for a nap!